A definite bone theme this week! Sifting through a veritable deluge of science and random factoids this week it seemed that bones and facts about bones seemed to be all that came my way! That’s odd in itself, but what do you do? What I love about this kind of post and researching it is that I get sent in completely random directions. I discovered a couple of things I didn’t know, revisited some old interests, met some interesting new people (one of whom will be featuring in an upcoming post), and found some meaty new topics to work on for future posts. My brain is even getting back into video mode again, so it’s very likely that my YouTube channel is not dead just yet! I find many of these tidbits whilst trawling twitter. So, I have embedded hyperlinked screen shots of the relevant twitter profiles of some interesting people. Check them out and follow them! So, let’s see what we’ve got this week! Here’s me thinking bone is bone! It makes sense I guess. 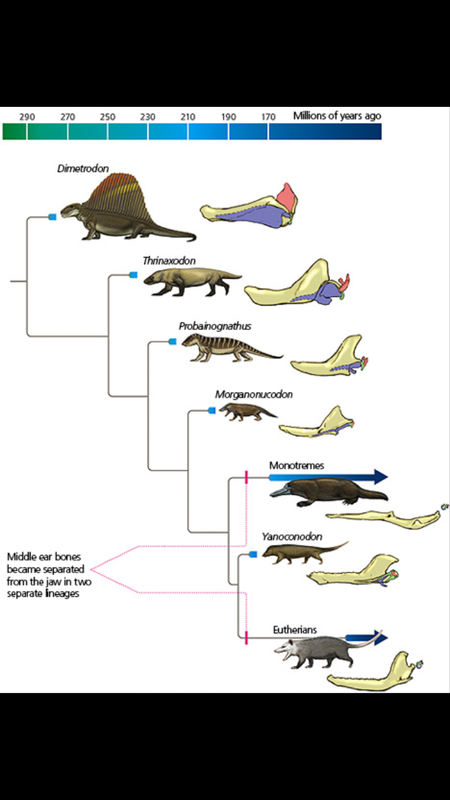 I wonder how monotreme bone differs. Monotremes are egg laying mammals. Only two examples are extant today and are native to Australia: the platypus and the echidna. 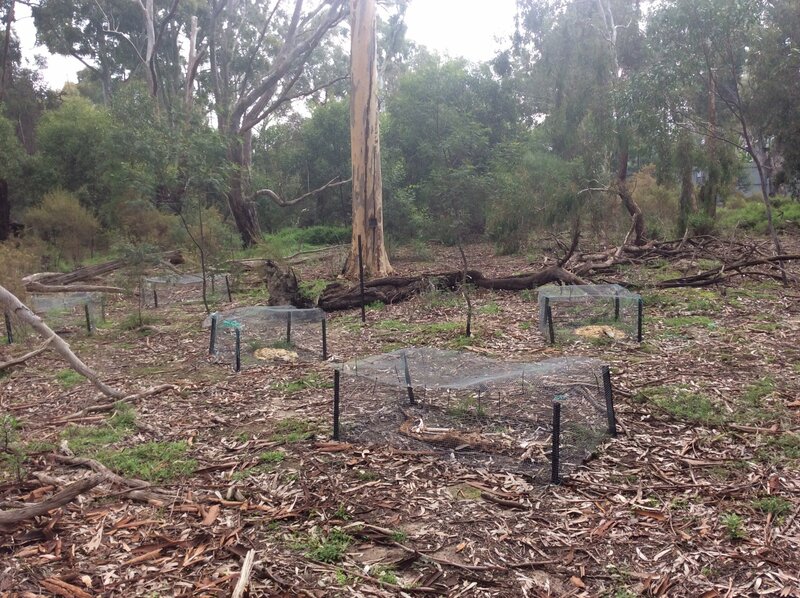 This fact was provided by the Zooarcheology team based at LaTrobe University. Many thanks! Fact 2: Bone density: Despite sometimes appearing superficially similar, it’s quite easy to tell rock from bone. Simply put it to your tongue! Bone will stick! An episode of CSI actually featured this technique being used in the field once. The only part of bone that won’t stick is the Petreous Portion, a dense region inside the skull by the ear. Fact 3: The walrus has the largest baculum! What is a baculum, you ask? Fact 4: Bones change shape with occupation! We all know that baby bones- particularly the cranial bones of babies are soft, so as to ease the process of birth. But it’s also true that bones will “mould” into a particular configuration over a lifetime of use. 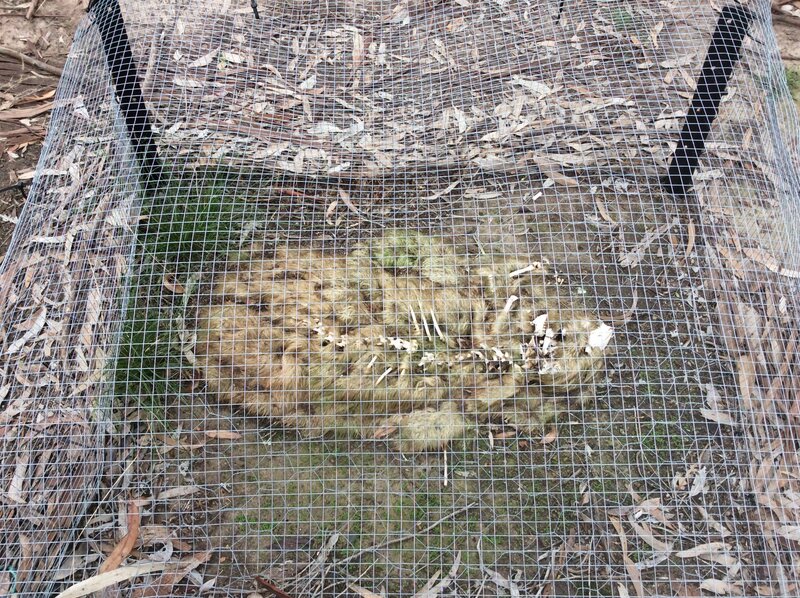 Warning: graphic images in the following link. The archaic Chinese practice of footbinding is one example of bones being deliberately shaped for cosmetic purposes. These three facts were provided by Steph Halmhofer, a Canadian blogger and bioarcheologist from the University of Toronto. Fact 5: Our ear bones are actually modified jaw bones! To put it in more detail; a diagnostic feature of all mammals, be they living or in fossil records is that they possess two bones in their ears which all other amniotes use for eating! Amniotes are all vertebrates which encase their embryos in a specialised protective membrane, either in an egg or within the womb. Such animals include reptiles, birds and mammals, but not fish or amphibians which lay their eggs in water. Fact 6: bones were originally a handy way for soft bodied animals to sequester excess calcium which is extremely toxic in higher than trace amounts. Fact 7: bone and blood are both considered to be connective tissue, although blood’s status in this respect is sometimes disputed. This last fact was provided by Cam Hough a PhD student from Alberta, Canada. Thanks to all who helped make this post possible. Who knows what random facts will head our way? We all go around our day, going through our business. Seemingly on autopilot, our brains are doing an awful lot whilst we’re running errands, paying bills, or screaming at traffic. How much of that mental activity is really noticed? How much of what we learn over the course of our lives really sticks? Have you noticed the way sometimes some simply random knowledge lodges itself in your brain, never to see the light of day? Just like “earworms”; those snatches of tunes that leap into your head from the radio and assail your sanity all day, so to do odd facts. I call them odd puzzle pieces, and random factoids. Hopefully once in awhile the Twitterverse has something for me! There are a lot of science folks out there, and a lot of people with heads full of plain weirdness. If anyone has some wierdness for me, it can be anything. It doesn’t have to be technical, or obscure. All it has to do is be stuck in your head! Anyway, here is the inaugural list of Odd Puzzle Pieces, provided by a couple of super smart gals. The images link to Brianna and Christine’s Twitter profiles. See what they’re up to and say hello! 1: The bumpy texture of a pineapple exterior is actually clusters of individual fruiting flowers! Who knew? 2: Leeches, upon fixing to the skin of their hosts, inject both anaesthetic and anticoagulant into the host bloodstream. Makes for a real feast! 3: No single graph is possible for the statistical test known as a 3 Way ANOVA (Analysis of Variance). This is a widely used statistical test applied in many clinical and laboratory situations. The only way to graph it would be in 3D. That sounds tricky, at best! Disclosure: I was terrible at statistics in university. 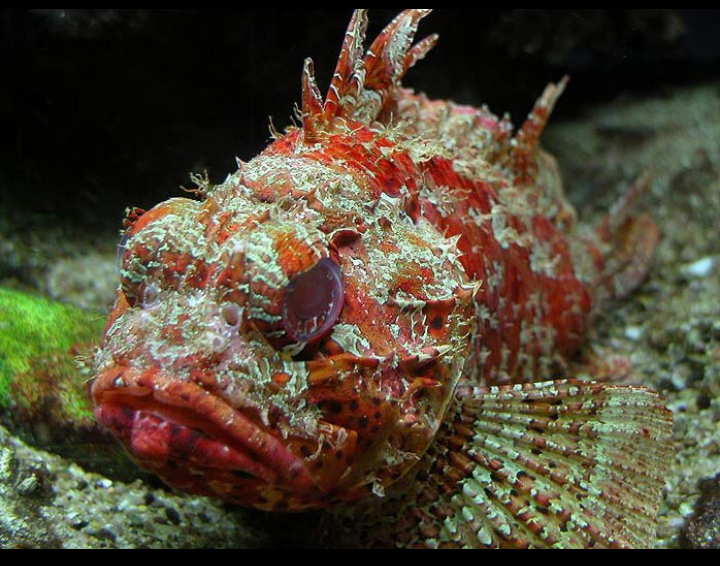 4: The only characteristic that links the tropical scorpionfish to its close relative the rockfish is a tiny little bone under their eyes! The scorpion fish Scorpaena scrofa. A face only a mother could love. 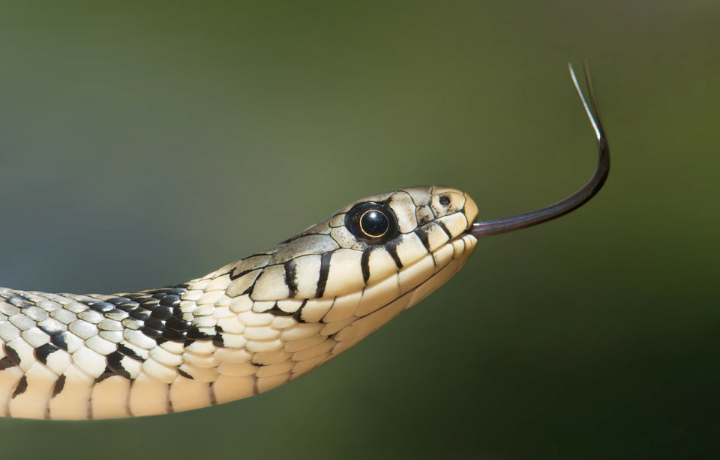 5: Snakes “smell” by sticking their tongues out to taste the air. They transfer odorants from the tongue to the vomeronasal organ on the roof of their mouth. 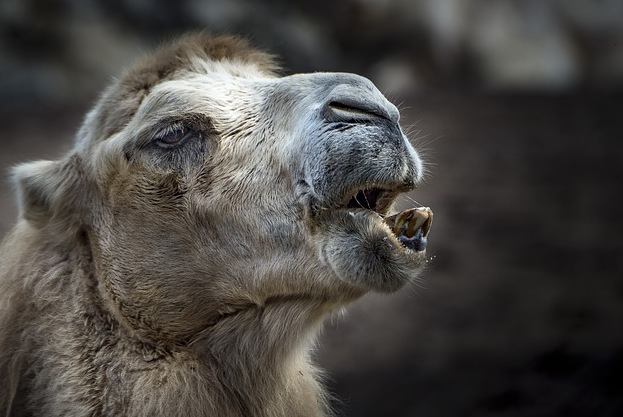 6: Camels possess a “refridgeration” system in their head, a bulbous system of veins call the Sinus cavernosus. This structure aids in quick heat loss and transfer, protecting the camels brain. 7: Downfield, Deshield, Left! This is a mnemonic device used to interpret NMR spectra. 8: Metameric segmentation is a shortcut that has evolved in arthropods and annelids, whereby repetitive segmentation is used to save the “work” of genetically coding for an entire body. 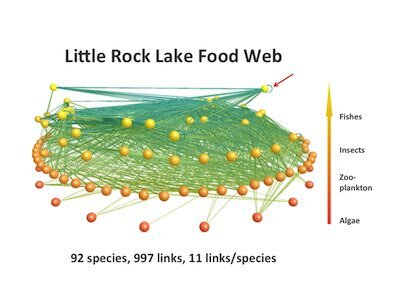 A dataset seems almost alive sometimes, as patterns emerge..Image: Twitter. That’s it for this post. 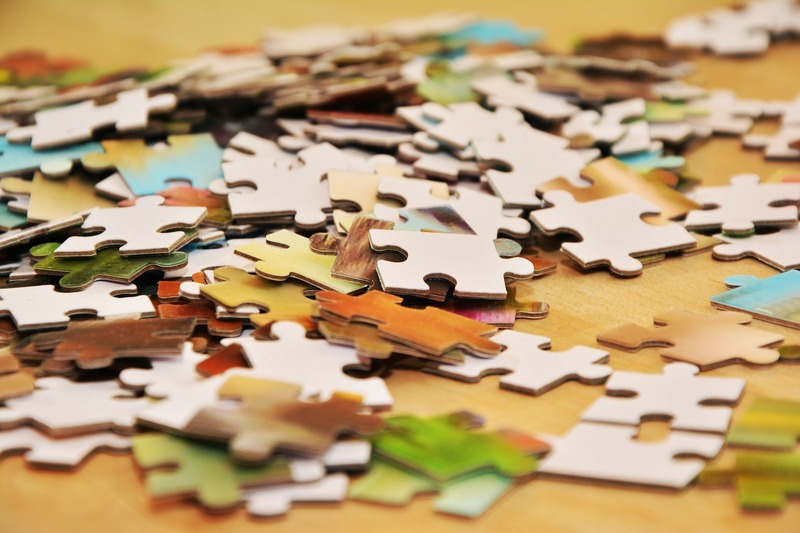 Send in your odd little puzzle pieces; little scraps that just won’t quit. Thank you to Brianna Bibel and Christine, both followers on Twitter for some of these first few pieces. Until next time, keep thinking.